I bought this pedal thinking I was going to get the classic phase tones heard on my favorite classic rock songs. At first I really liked it. Then, as I began playing with bands, I realized how bad this pedal is with volume control. At high volumes, I get an unwanted volume boost, and an unpleasant mudded up tone. I love the classic Phase 90 tone on those timeless songs of the 70's. This pedal does not give me that tone I ever so desire. Instead, it makes a fool out of my guitar tone. Sorry, but this is not a very good pedal, especially not for live playing. If you wish to buy a MXR Phase 90, take a look and listen to the script logo and the vintage reissue pedals (dont overlook the phase 45). There are good Phase 90's, but the M101 is not it. This is the first Phaser pedal i've ever owned. 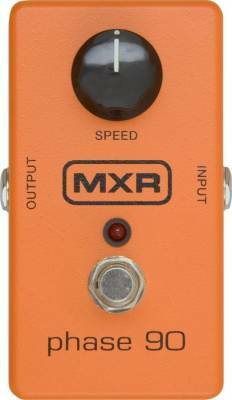 when i decided i wanted one i did hours of research on all the brands and models out there and this pedal was always in the top 3 if not #1. And this pedal kicks! i love it's simplicity 1 knob! that's all you need. warm clean swoosh to a tripped out effect dimmed and the price makes it even more desirable. Everything from shimmery to swoosh and bright to dark. Great for rythym or lead. Hands down my favourite pedal. Set it at the 8 o'clock position, a Gibson guitar, a little grit and you've got classic Albert King. 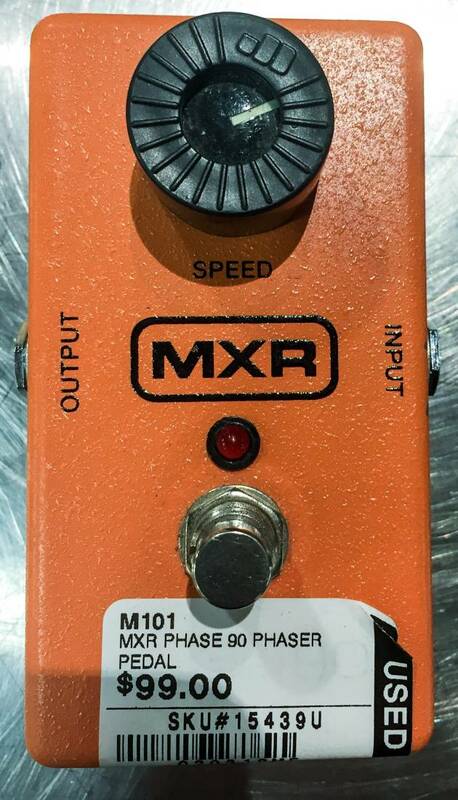 Great pedal.